Apples were a staple in the diet of 19th-century Americans. To be preserved, they had to be picked in the fall, peeled, cored, cut into slices, strung on thread, and hung to dry. Apple juice, butter, cider, and sauce, as well as dried fruit, all required paring and slicing. In the 1860s, in a popular game played during the work, a young woman would throw the apple peel over her shoulder, hoping it would form the initials of the name of her future husband when it landed on the ground. The 19th century's technical ingenuity resulted in the invention of countless mechanisms to lighten household tasks. A flood of labor-saving kitchen tools such as apple paring machines were patented from 1850 to 1890. 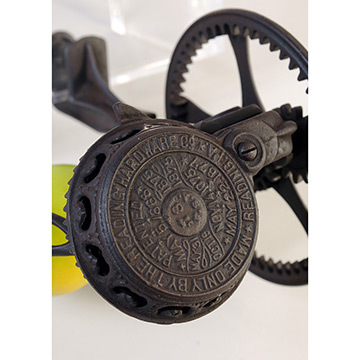 Such "turnable," cast-iron, table-mounted apple parers operated as lathes, their gear-driven rotary mechanisms turned with cranks. 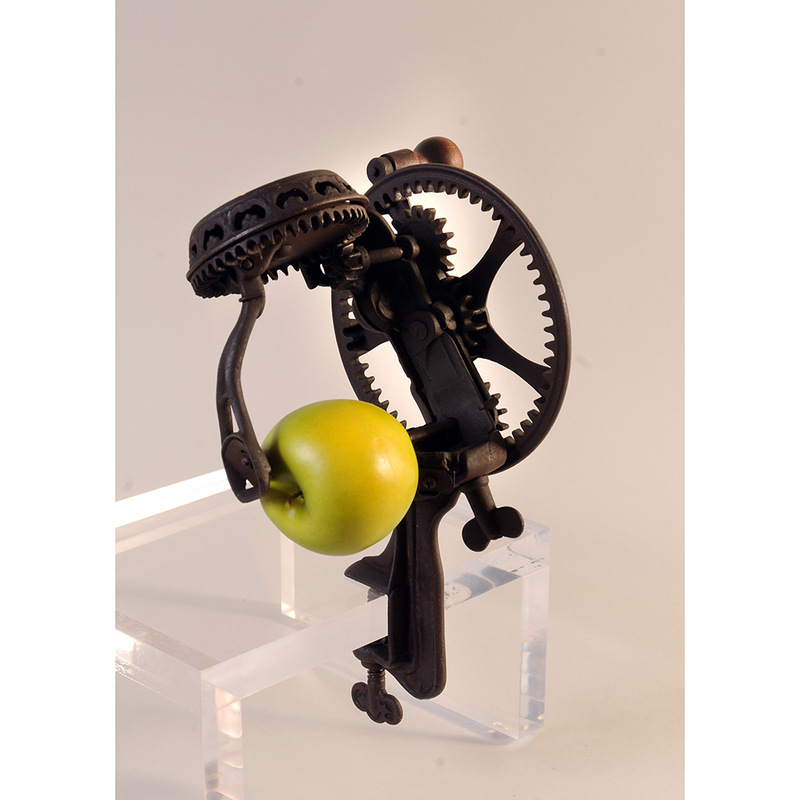 The lathe device rotated the fruit while a floating arm with a cutting blade rode over it and peeled off the skin. The lathe drove through the center of the apple to remove the core. The cutting edge could slice fruit into long spiral sections for pies and applesauce. Some turntable models also pushed the fruit off the lathe when paring was complete.